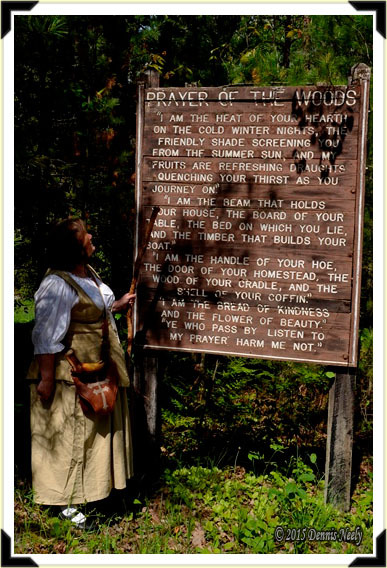 Before she slipped back in time to the Year of our Lord, 1796, a lady of the forest paused to read the “Prayer of the Woods,” posted outside the headquarters building at the Pigeon River Country State Forest. 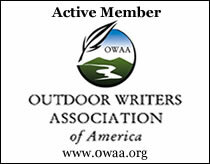 This entry was posted in Living History, Snapshot Saturday and tagged Black powder hunting, Dennis Neely, historical trekking, Mountain Man, Native captive, North West trade gun, Northwest trade gun, trade gun, traditional black powder, traditional black powder hunting, traditional blackpowder, traditional blackpowder hunting, Traditional Woodsman. Bookmark the permalink.